Happy Saturday, everyone! I hope you have had a wonderful start to your weekend so far! We have been a bit lazy so far today, which is pretty typical for us on a winter Saturday. It is just crazy to see all the snow out there right now! I haven't yet taken my camera out to capture it, but I am sure I will sometime soon. I don't think the snow is going anywhere for now! Tee hee! I have a shabby little card to share with you today! I did this for the current My Mind's Eye card challenge on their blog, plus some others which will all be linked below. I had so much fun stamping, fussy cutting, distress inking and such on this card...and I am loving all the sweet little details. Here is what I created! Instructions: Make card from vintage cream cardstock. Cut pink gingham paper slightly smaller, distress the edges and adhere. Distress ink a doily, and adhere to the front. Cut a tag from striped paper, distress the edges and adhere to the right side. Fussy cut the banners and adhere to the front. Tie a double bow from seam binding, attach a button around the middle using twine and adhere to the top of the tag. Fussy cut a doily, attach a rhinestone brad to the center, then adhere it below the birds on the bottom banner. Add a rhinestone brad to the top banner. Attach a fabric flower to the card front. Stamp the crown, cut out and cover in glitter. Cut a banner edge to a patterned paper strip and distress ink the edges. Stamp the sentiment to it, then add a brad to the left side of it. Layer the glittered crown and sentiment banner to the top of the fabric flower to finish. 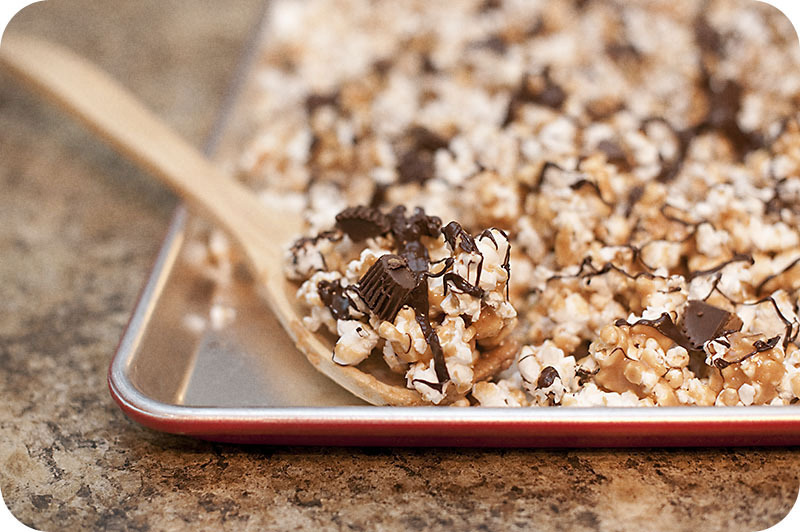 This is Peanut Butter Cup Popcorn, which I found the recipe for on Two Peas and Their Pod. This was really easy to make, and SO yummy. Great for movie or game night!! If you haven't checked out this website, it is a must. Lots of super yummy and super easy recipes...I will be visiting frequently for more recipes! I love love LOVE this card! It's one of my favorites. Looks fantastic! Bee-utiful embellished pastel card. Your circles are arranged wonderfully. Especially like the dimension & texture this card has. Thanks for sharing the details on how you made it. 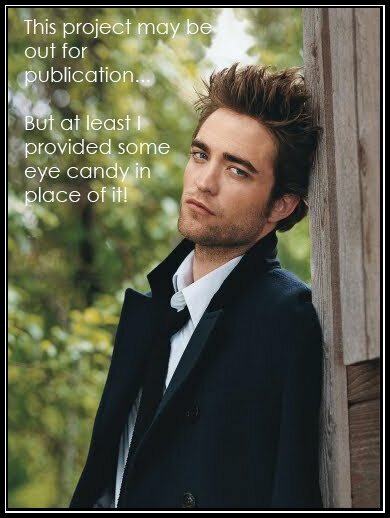 Like the yummy sweet treat also. Pass me some please. Thanks for entering Raise the Bar Ring in the New Year Circle challenge. I just keep staring and staring at your beautiful card! The detailing is wonderful! I will have to try the popcorn...it looks delicious! Oh my, I think I am in love...first the card, and then the treat!! 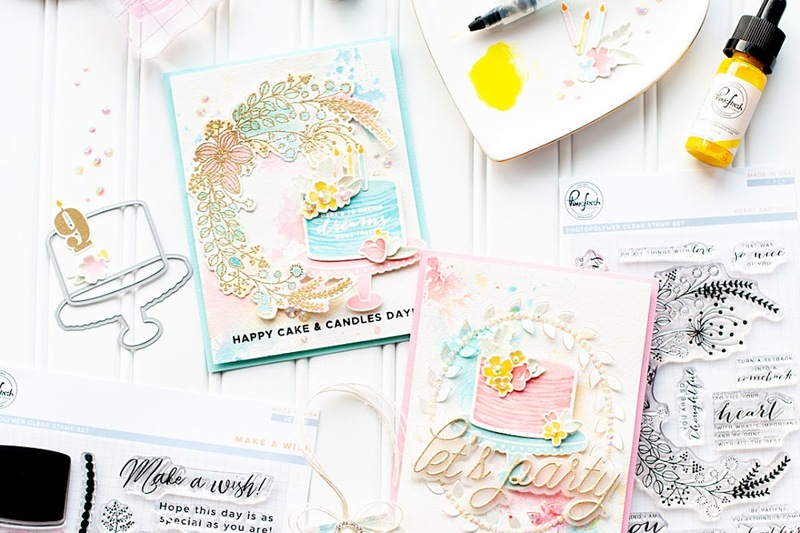 Your card is lovely, full of creativity, beautiful colors and use of design! And yumm on the treat, too! 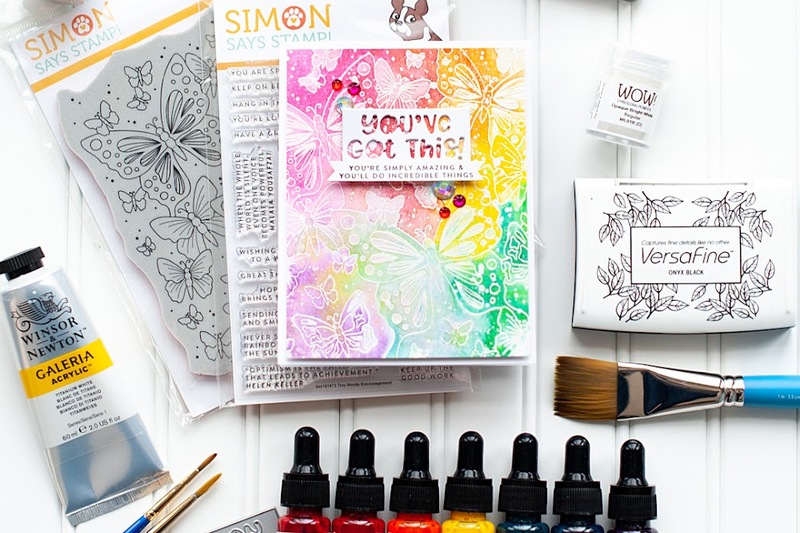 Thanks so much for joining us this week at Stampin' Sisters in Christ!! This card is gorgeous and that dessert....wow!!! Oh my giddy aunt Lea, this is just divine - I love everything about it, infact I wish I had made it! Totally gorgeous! Thank you for joining us at Stampin' Sisters in Christ, we love to see you and appreciaste your support! <3! so super glad you entered this in Sugar Creek Hollow! it is wonderful! Beautiful card, love the dreamy colors! Love this card....it's so sweet! 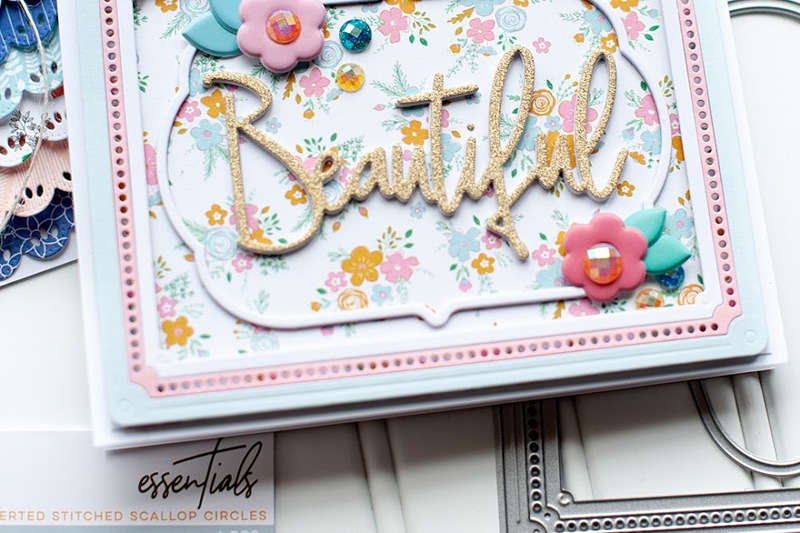 oh my word woman this card is amazing...I love it...first I totally love these colors together and love all these fun embellishment on the card...just beautiful..
My gosh, this is so pretty. I love the bright pastels. the flower is gorgeous! I'm so glad you joined us this week at Sugar Creek Hollow. See you again soon. What an awesome post... I'm smiling big (that beautiful card) and now I'm drooling too (that recipe...oh my!) Thanks for sharing! What a gorgeous card! Your stuff is phenom Lea!! Thanks for joining us at Raise the Bar.